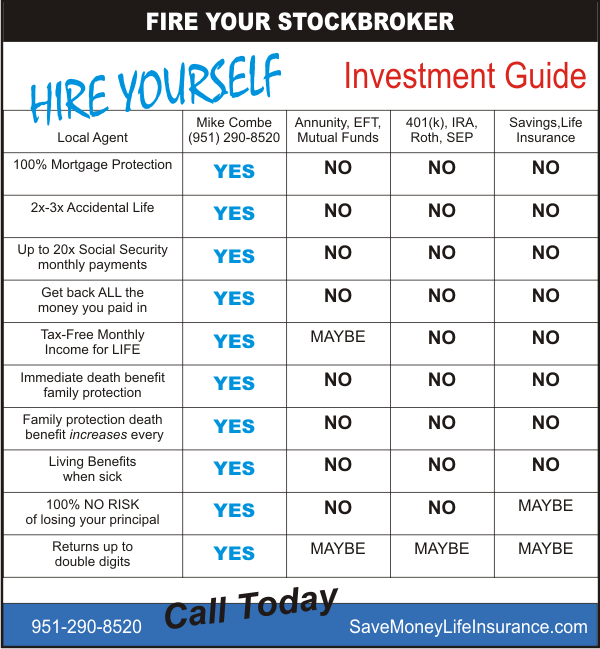 If you're tired of paying for your stockbroker's or financial advisors lavish lifestyle you can do better. Fire them! Hire yourself. It's your hard-earned money. Set yourself up with unlimited tax-free monthly income and protect your family on the way to your retirement. You can easily avoid any market turn down risk and guarantee that your money will never be lost. Getting the right insurance will not only save you money right now, but you can protect your family with immediate death benefits that increase every year. Arm yourself with information & knowledge. Get our free report "17 Secrets the insurance industry does not want you to know".